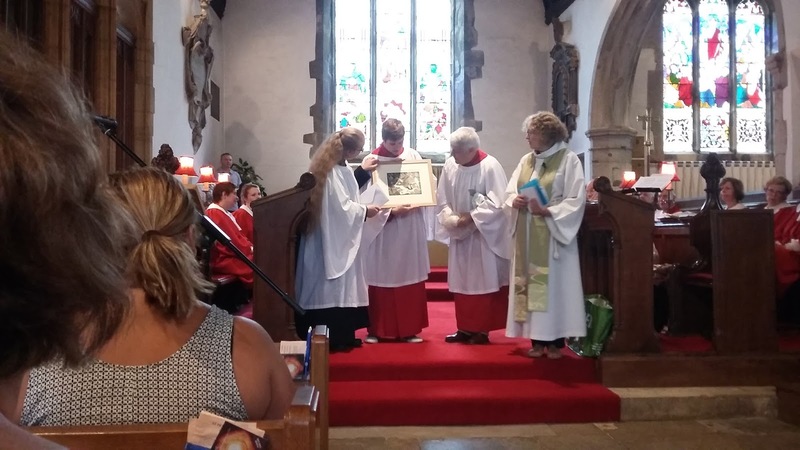 At our Patronal Festival yesterday we said thank you and farewell to the Harvey family. 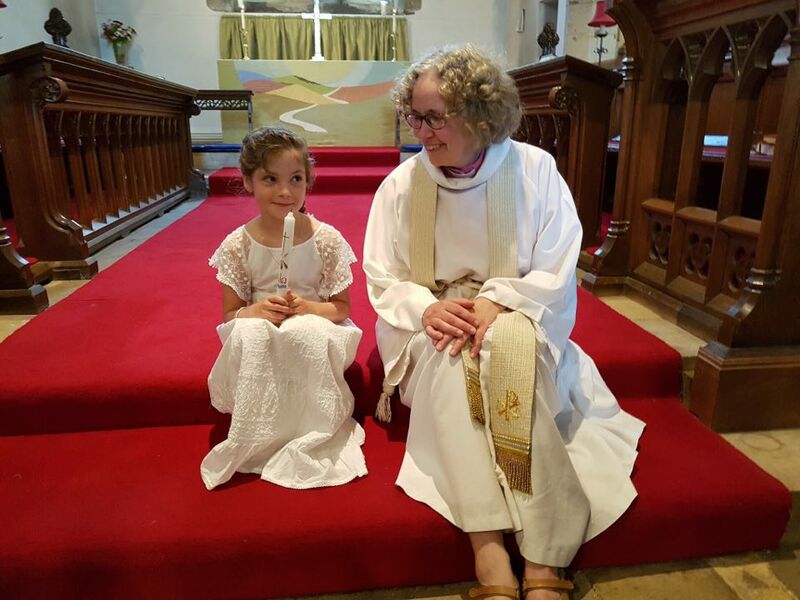 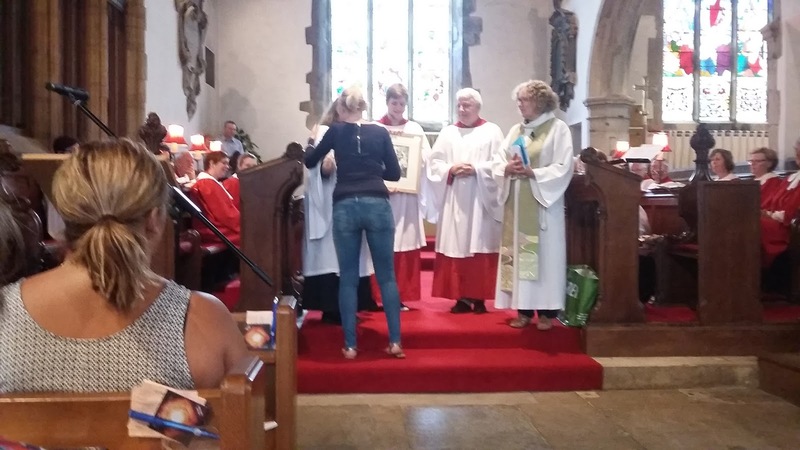 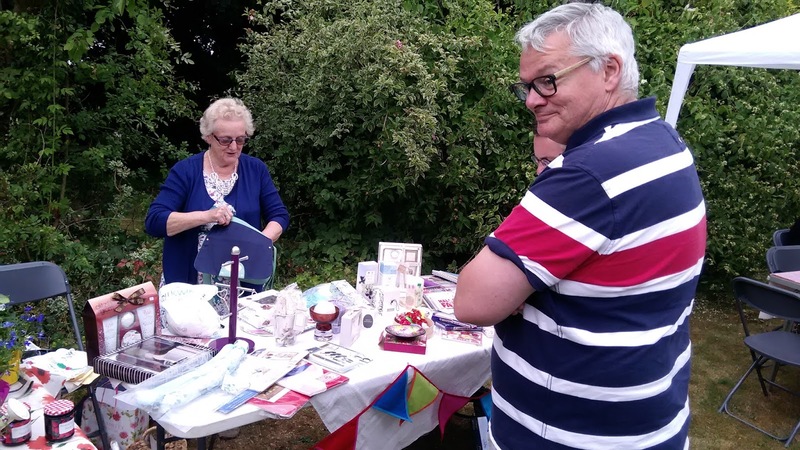 Nicky, Mike, David, Alice and Lucy have been part of Seal Church for many decades, but left us yesterday to move to Hadlow, where Nicky will be curate when she is ordained in September. 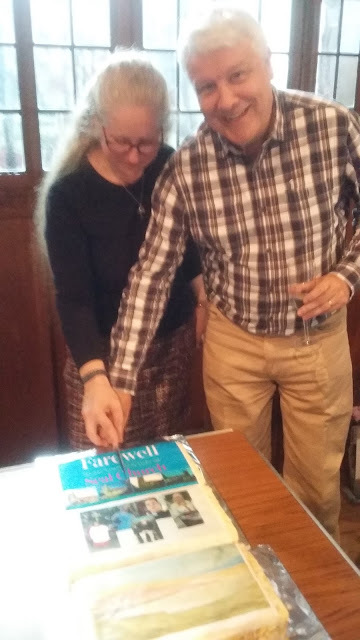 Here are some pictures of their farewell, and the lovely cake decorated with edible photos. 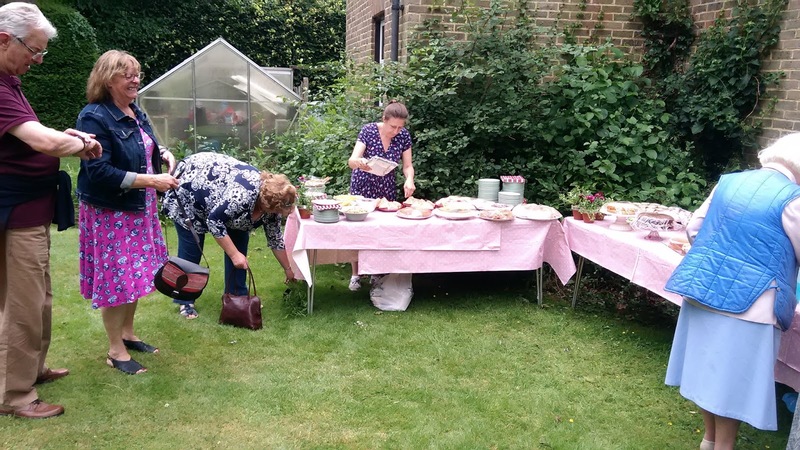 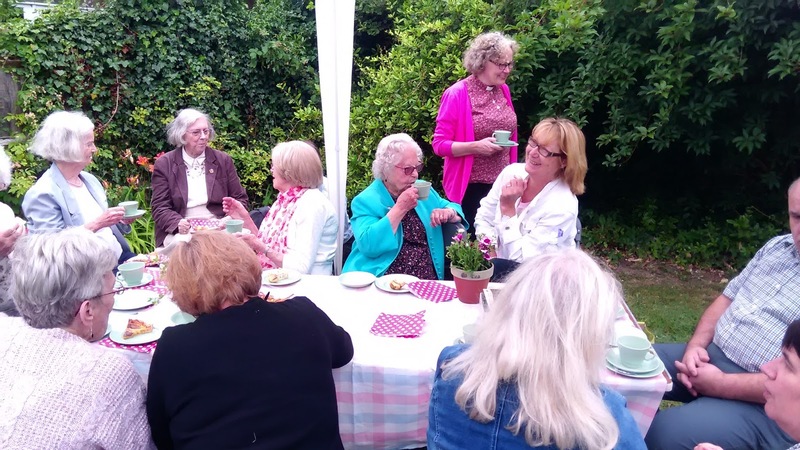 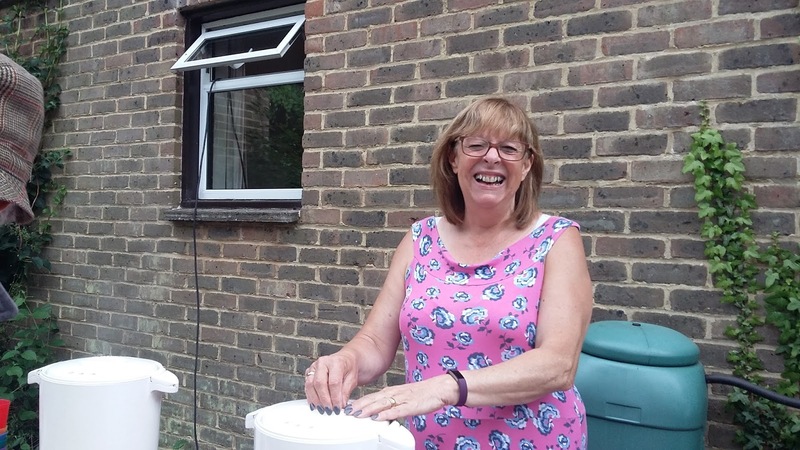 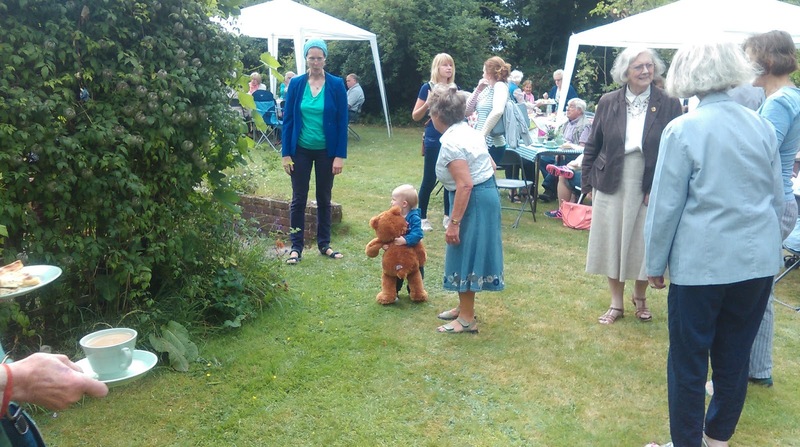 The afternoon saw our annual Strawberry Tea in the vicarage garden. 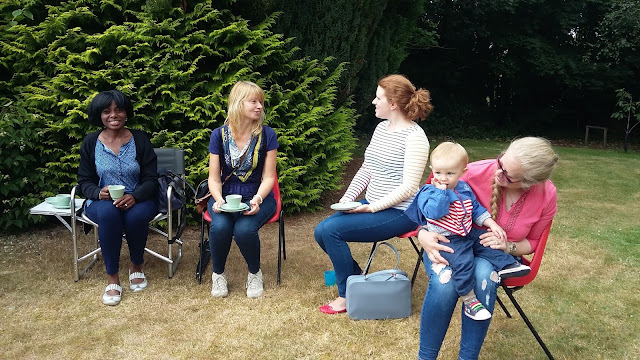 The rain held off and a good time was had by all. 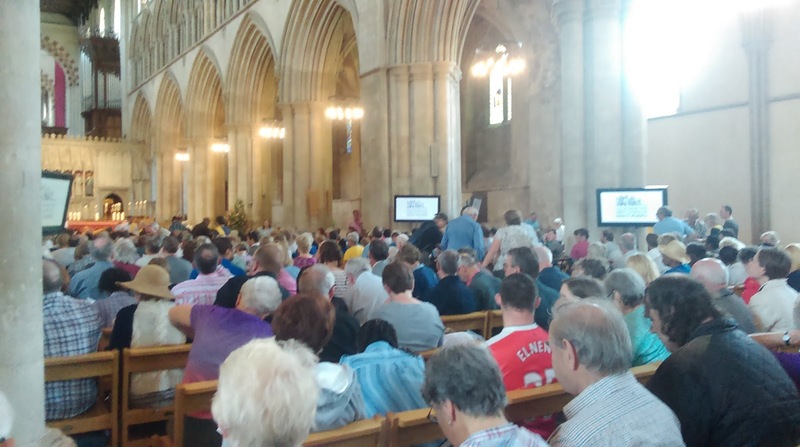 Many thanks to all the events team who organised this. An amazing photographic cake - the bottom third is a reproduction of our green altar frontal, with its lovely picture of the path leading away into the distance. Seal School's Headteacher gave Nicky a gift from the governors. 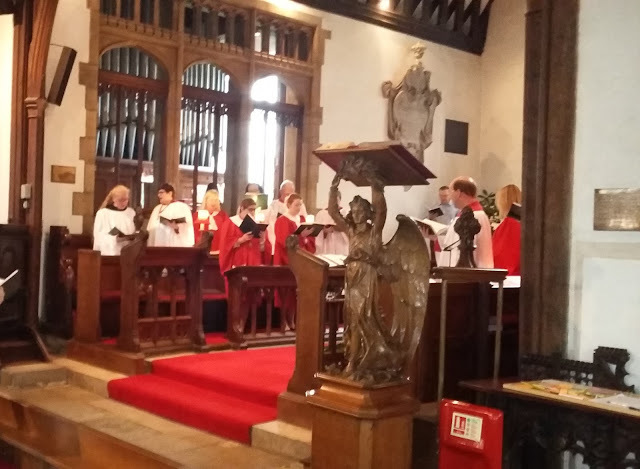 Nicky, Mike, David, Alice and Lucy have all be longstanding members of the choir. 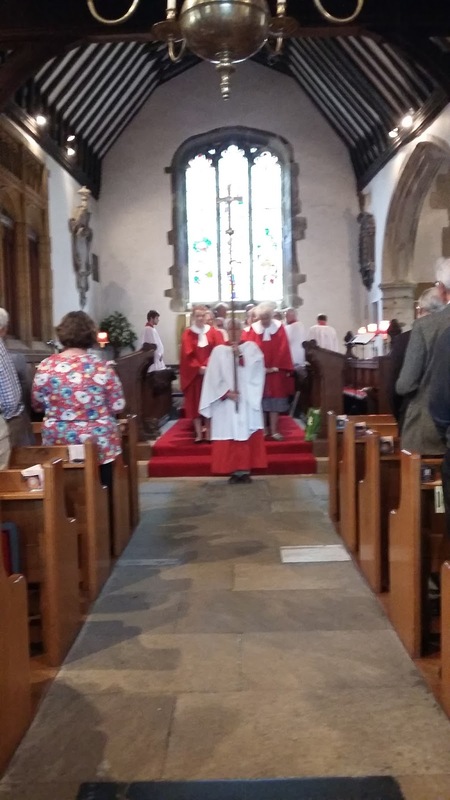 Mike has normally been the crucifer, negotiating hazards like the chandelier with aplomb. 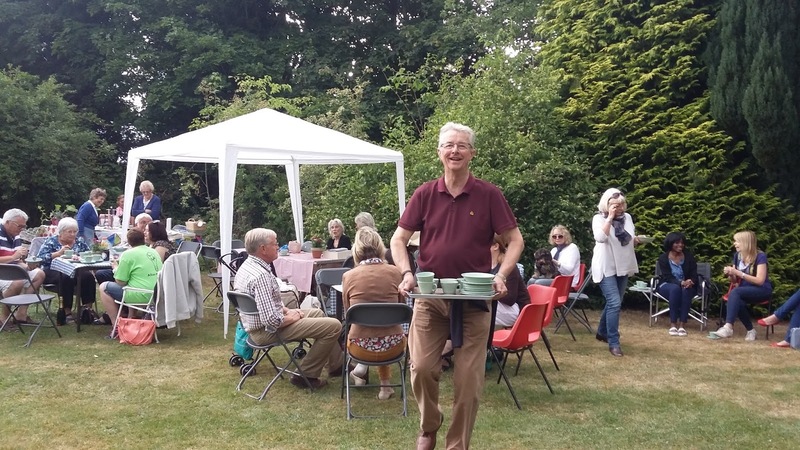 And to those who made and served sandwiches, cakes, strawberries and tea. 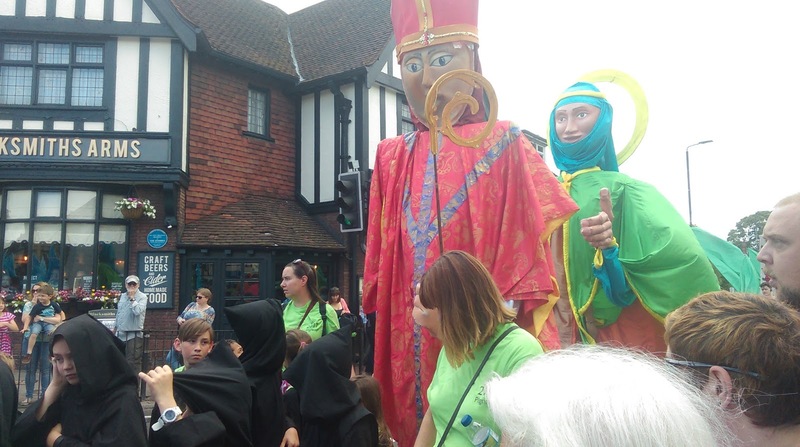 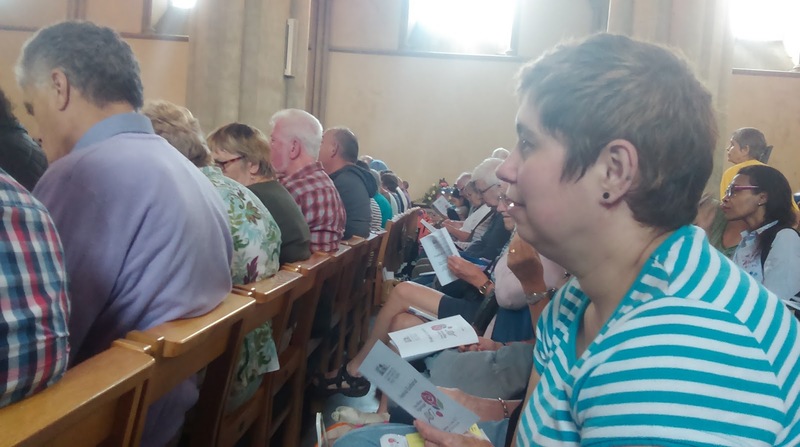 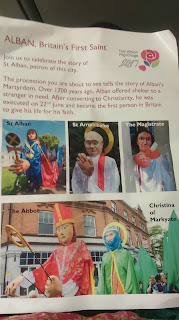 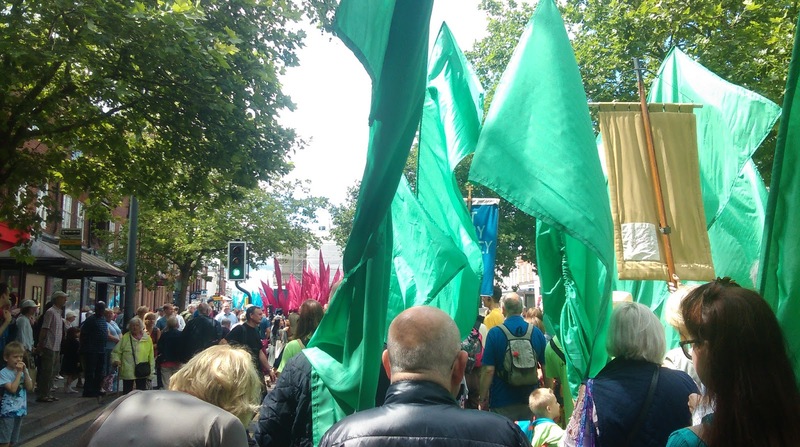 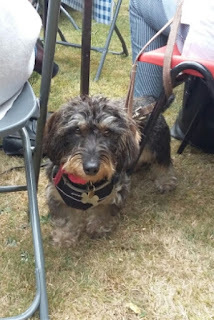 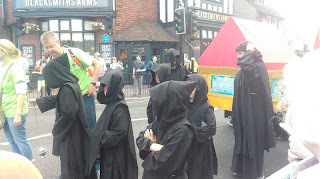 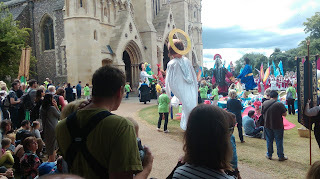 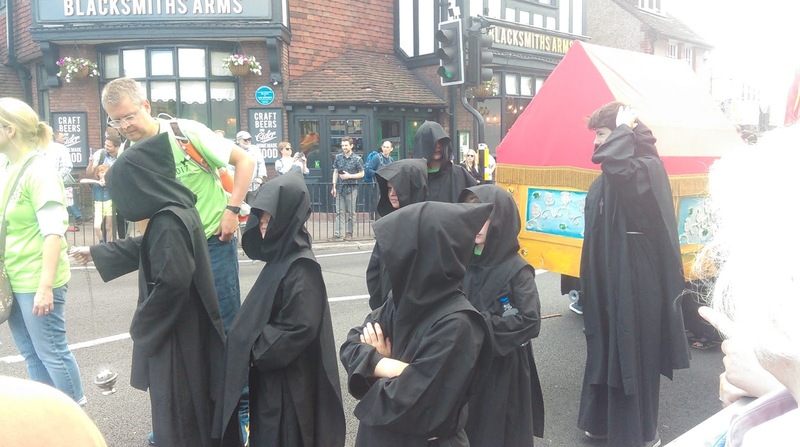 Here are some photos from our trip to St Albans for the pilgrimage on Saturday. 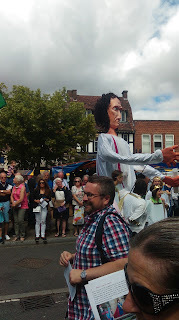 We had a great time, joined in the procession which told the story of St Alban as it made its way through the town, and then went to the Eucharist in the Cathedral. 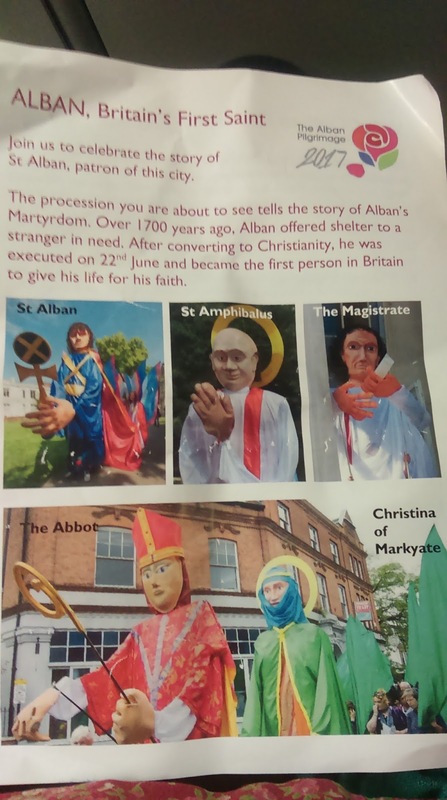 I had to come home after that to get ready for Sunday, but the rest of the group stayed on for Evensong and the procession to the shrine of St Albans where pilgrims lay red roses to remember Alban's courage and pray for those who might need that courage in the face of persecution themselves. 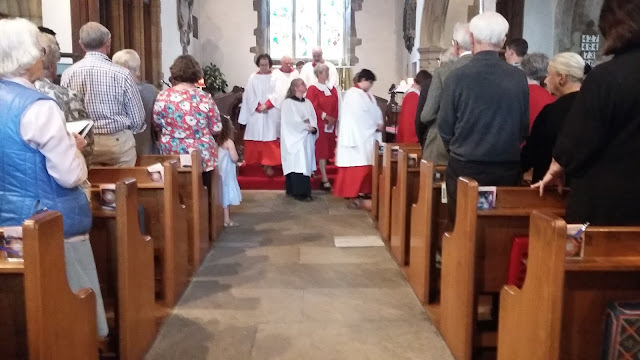 Congratulations and welcome to Florence, baptised at Seal yesterday afternoon! Some lovely pictures arrived from her family today, which they have given me permission to share. At our All Age Worship today, Father's Day, we gave thanks for the gifts our fathers and father-figures have given us, and thought about the gifts our Father God gives us, the knowledge of his love, and the security and confidence that gives us in the face of the challenges and sadnesses of life. 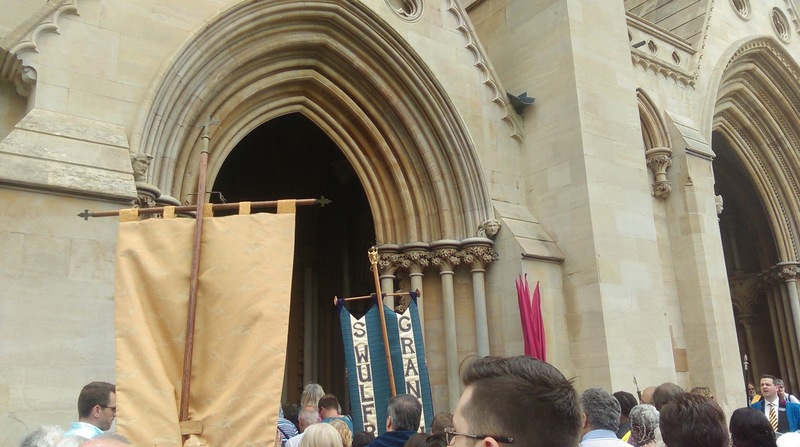 This is the Litany I wrote for the service,which people afterwards asked me to share. 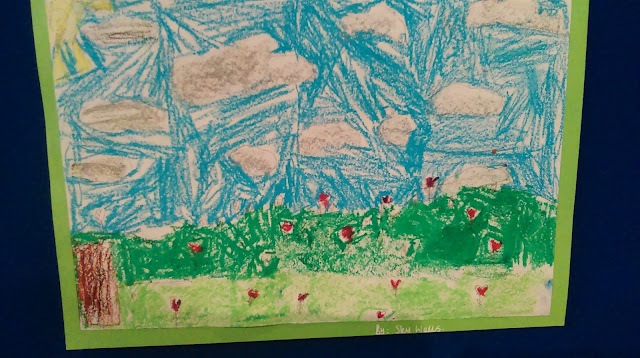 for dads who are living and dads who have died. and for mums who have to be dad. and for those who would love to be dads but aren’t able to be. We pray especially for those who have been bereaved in the Grenfell Tower fire, and in the recent terrorist incidents in Manchester and London, and for those in our own community whose fathers have died recently. 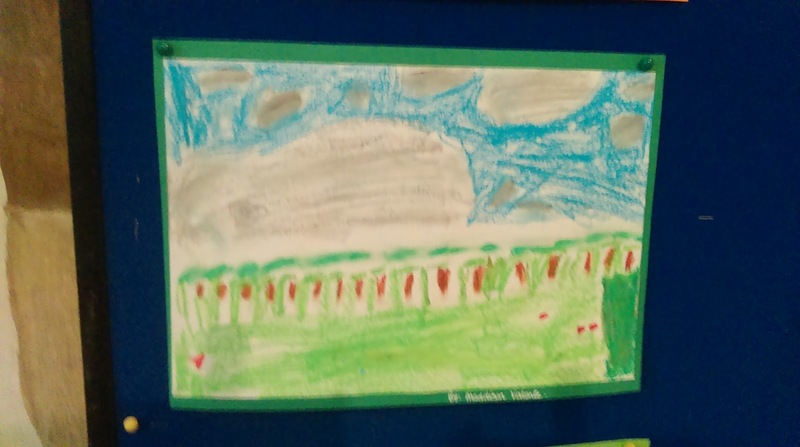 for the dads who are firefighters, who this week struggled to rescue children in the Grenfell Tower fire, and who will see those children’s faces in the faces of their own children, and remember their cries for help when their own children cry out to them. 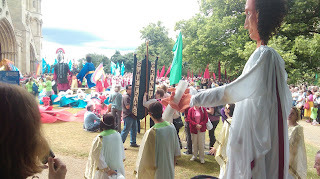 and we pray for those who suffer for their commitment to others in places where there is oppression and injustice. 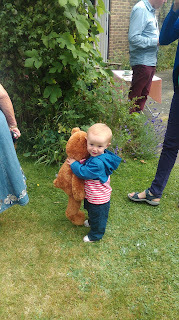 And finally we pray for all those dads I’ve forgotten to list, those whose fathering goes unnoticed. 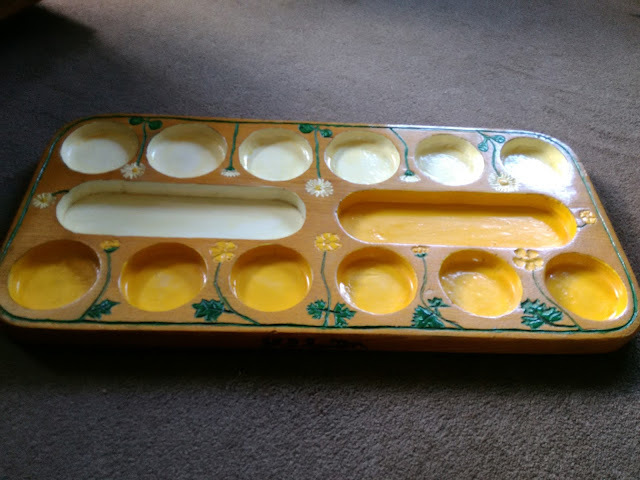 The Mancala board which my father made for me and my children, something I treasure that he gave us. 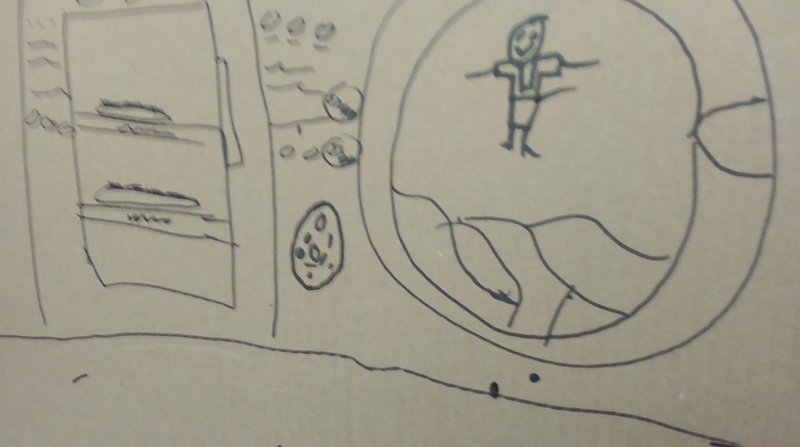 I showed this at the service as we thought about the gifts - tangible and intangible - we'd been given by fathers and father-figures. 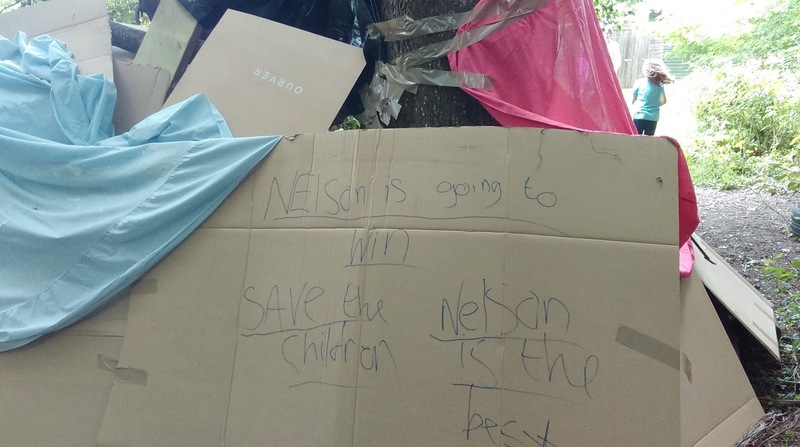 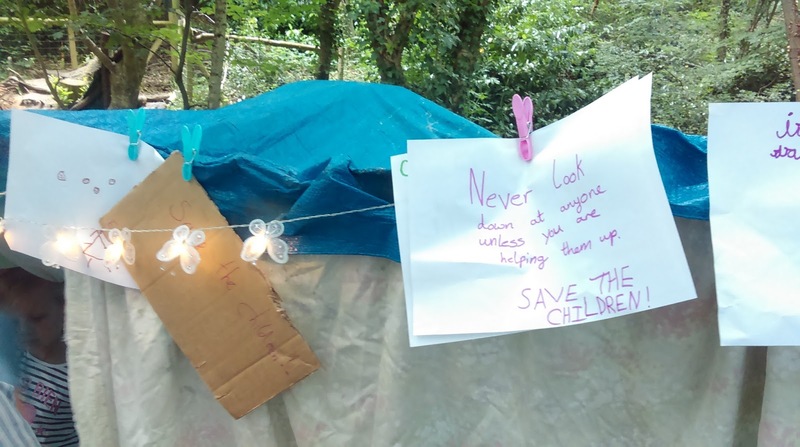 Seal Primary School held a "Den Day" today, following some work they had been doing with Empathy Action and raised money for Save the Children as well as raising awareness of the problems refugees face. 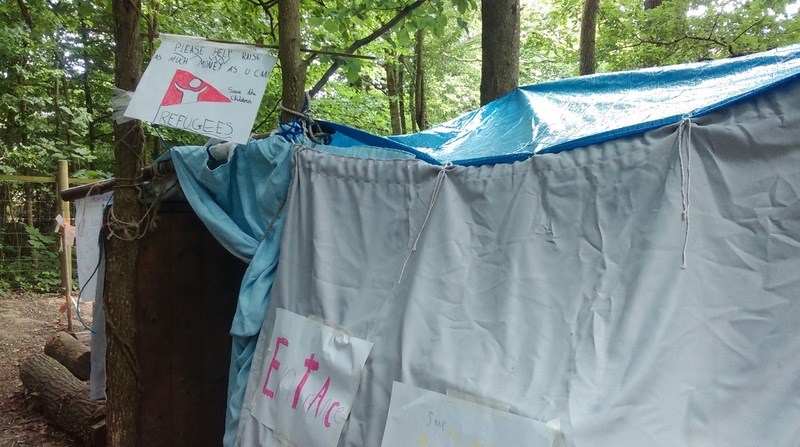 They spend the morning building dens in the school grounds, and then invited parents and friends to see their creations. 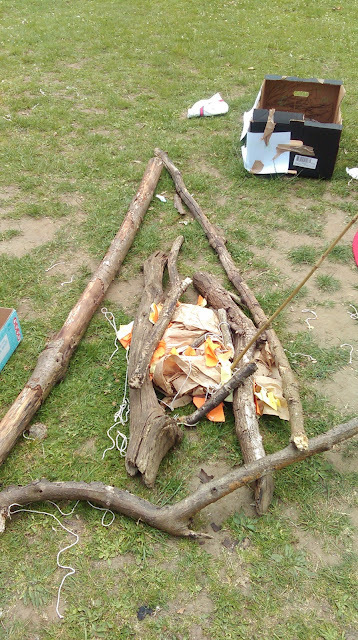 They developed their team working as well as their construction skills, and had a huge amount of fun! 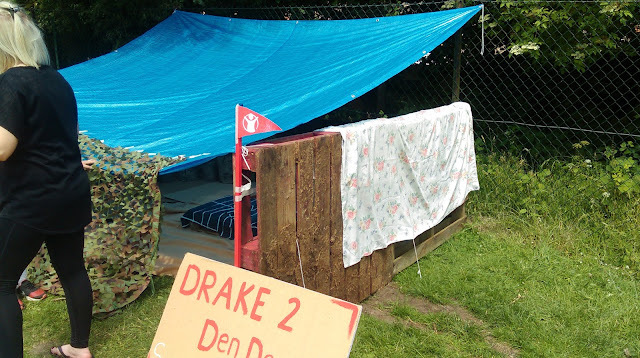 The dens were all very different, but all great in their own way. 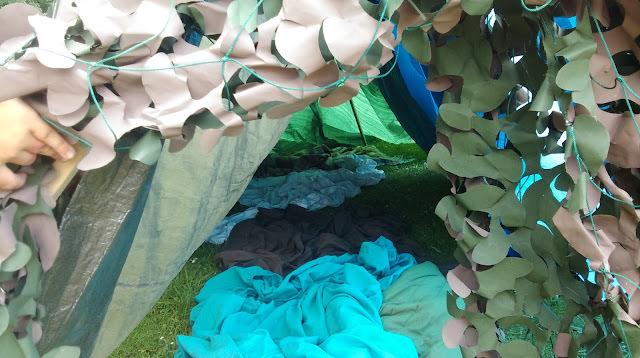 Here are some photos of the dens (I haven't taken any of the den-builders, because we are very careful not to put pictures of the children on social media at Seal School). 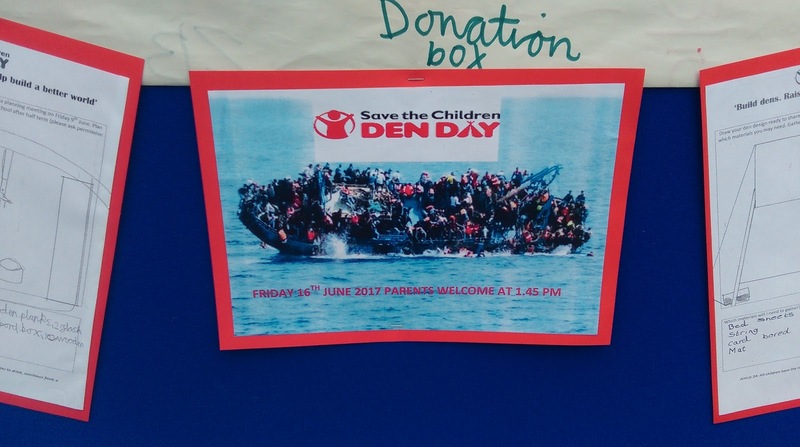 You can find out more about Den Day and Save the Children here. 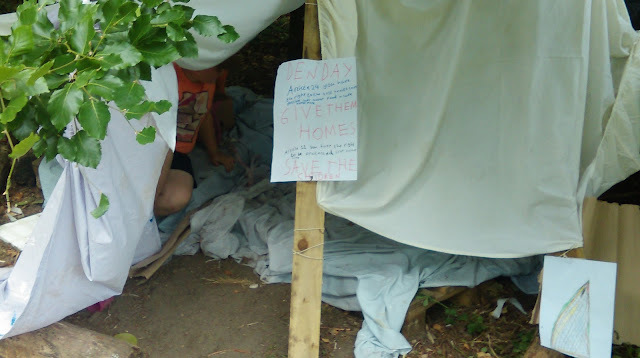 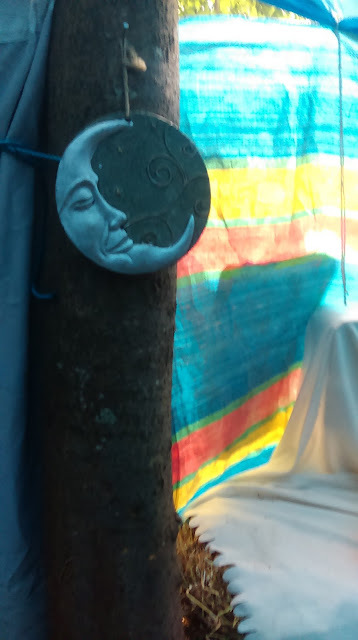 These den builders had some beautiful things in their den. Some of the dens made use of the trees in Seal School's woodlands. 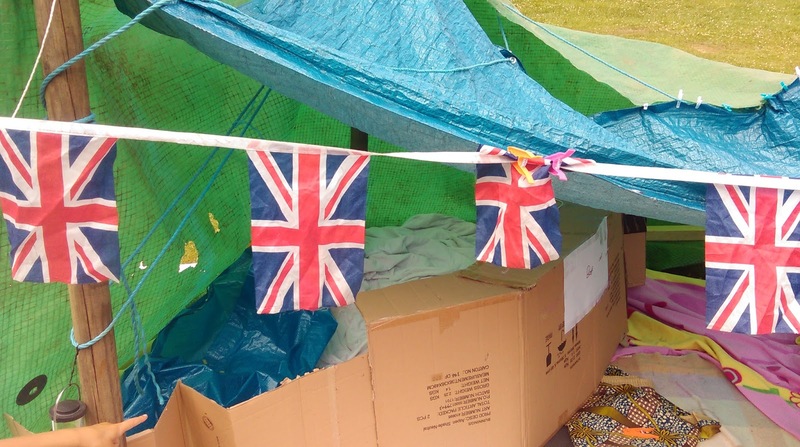 These den builders obviously took pride in their work! 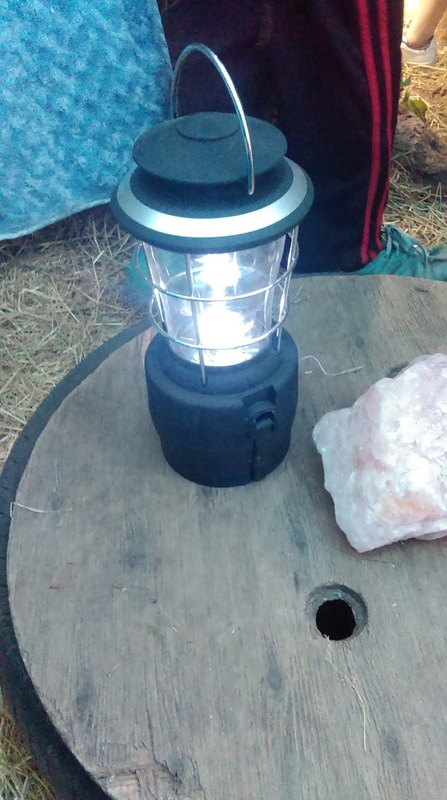 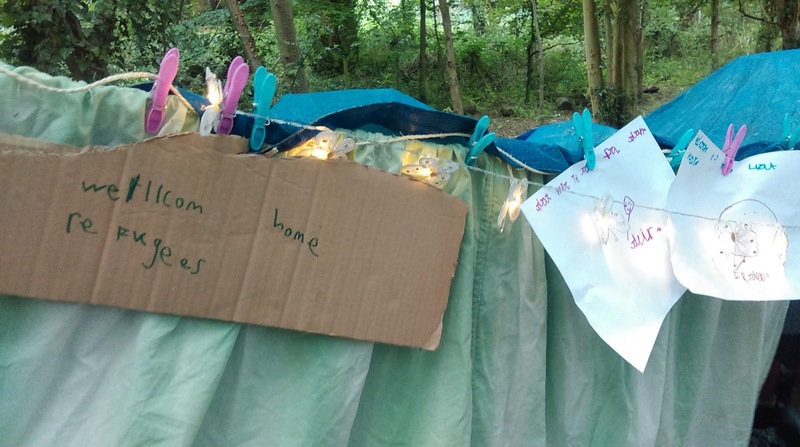 The builders of this den decided it needed fairy lights because it needed to be filled with love and hope, and the lights would remind them of that. 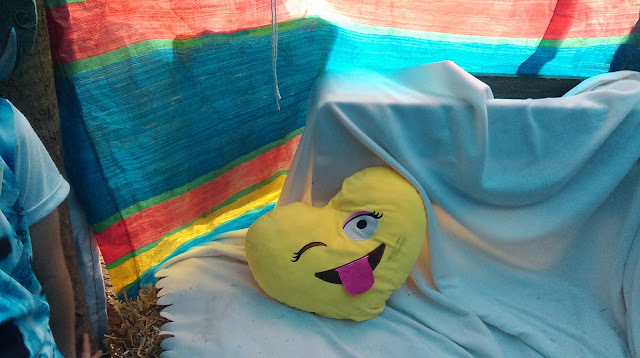 This den had inventive interior decor. 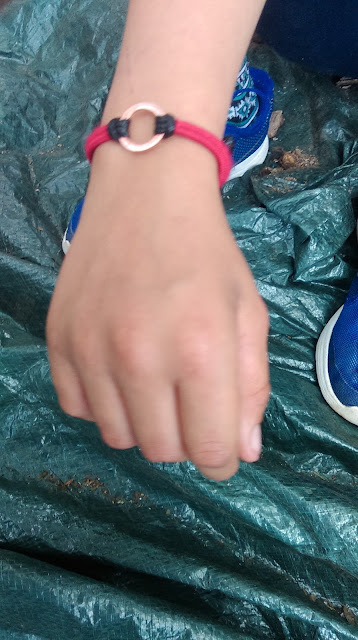 The children had been able to buy wristbands made by Syrian refugees for a donation to Save the Children. 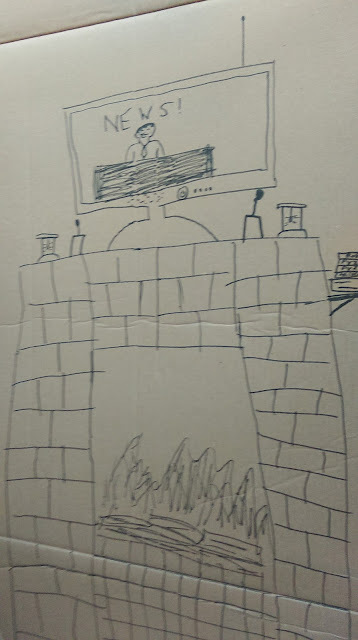 Someone had thought about the cooking and warmth here. The builders of this den proudly pointed out that it was very long on the inside - a tardis den. 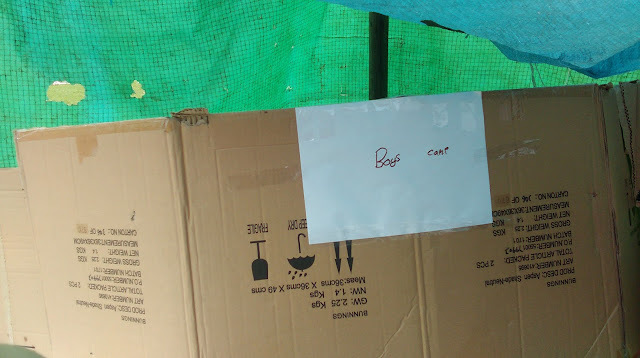 It had a separate section for boys and girls - don't know whether it was the boys or girls who suggested that! It was all in aid of Save the Children, and the children enthusiastically collected at the entrance to each den (which got quite expensive, as there were a lot of them! 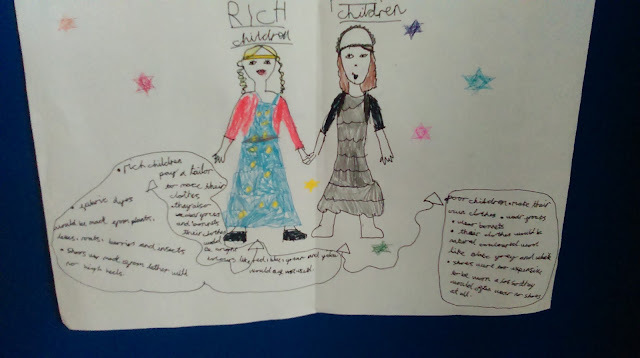 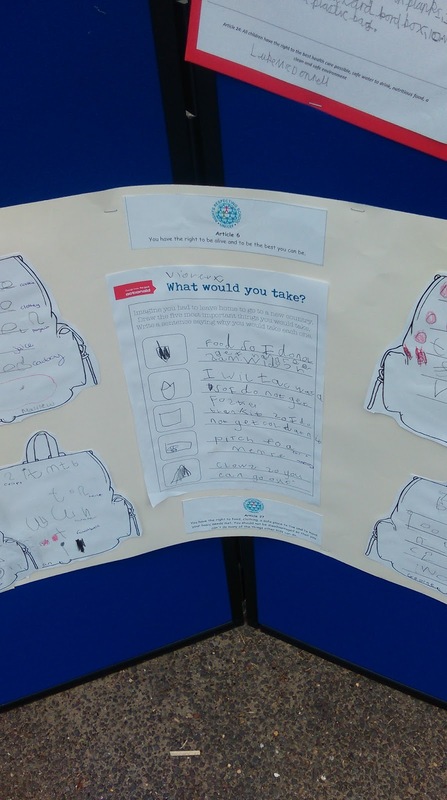 The children had been thinking about what it might be like to be a refugee. 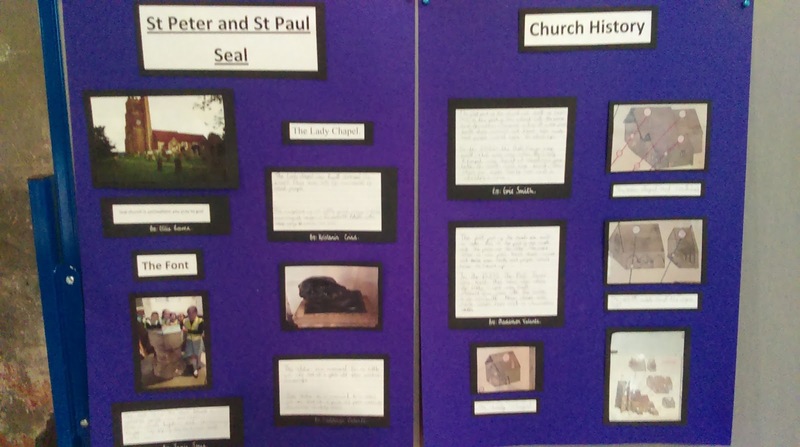 A surprise exhibition in Seal - this weekend only! 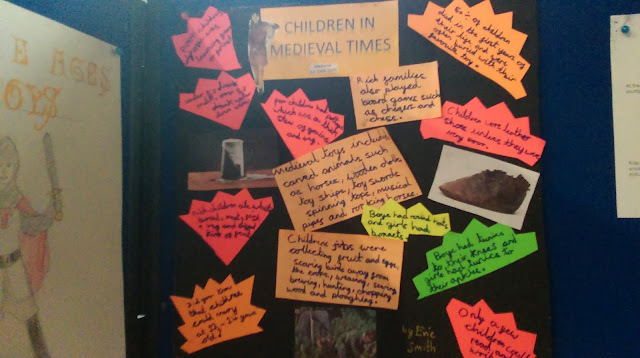 Year 3 from Seal Primary School came to visit the church last week to find out about its history, and the lives of the people who might have worshipped here in the Middle Ages when it was built in the 13th Century. 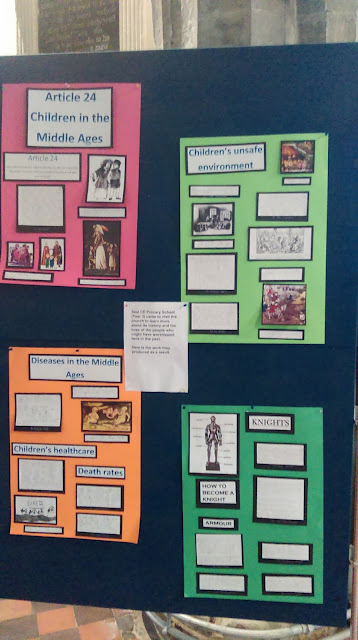 They worked really hard, and set up an exhibition at the back of the church which their parents were invited to visit. 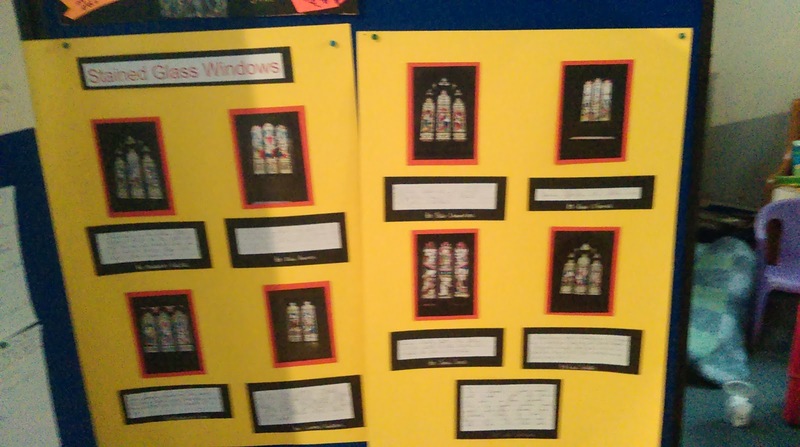 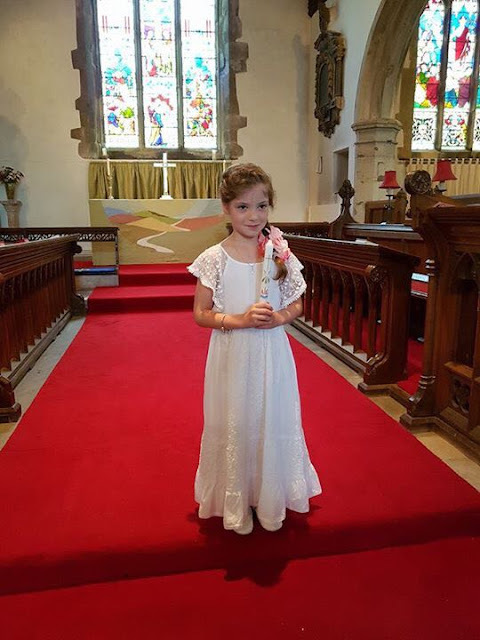 The children showed their parents around the church, and talked about what they had found out. 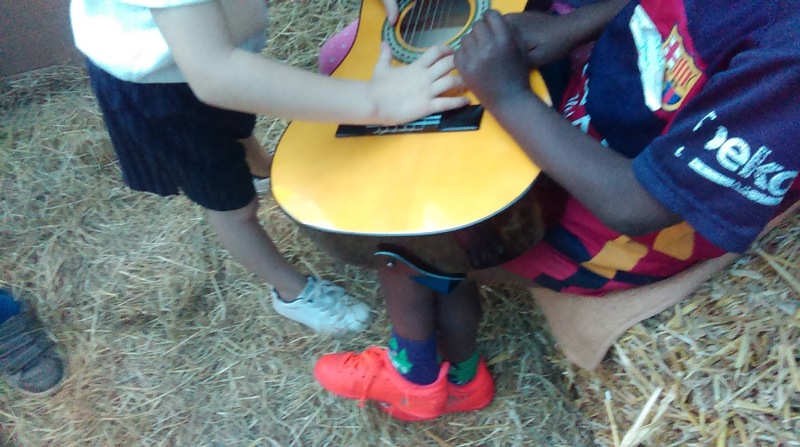 They were great guides! Their exhibition will be in church until next Monday, so please pop in and have a look. 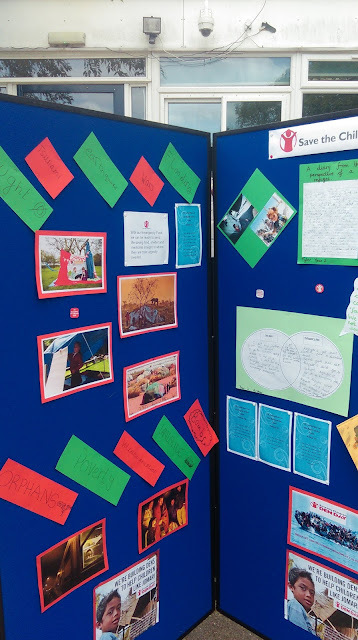 Seal School is a Rights Respecting School, working to embed the principles of the United Nations Declaration of the Rights of the Child into everything they do at school. 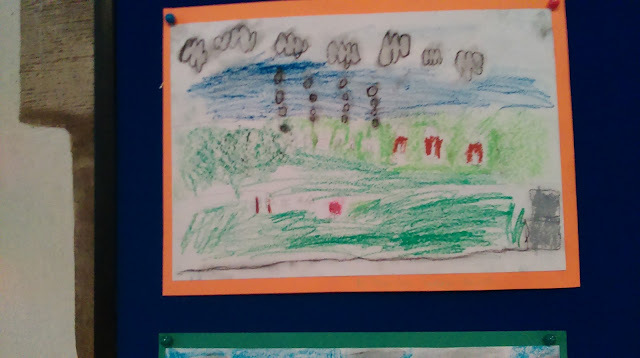 One of the rights is the right to have good health care and clean water. They thought about what it might have been like to be a child in the Middle Ages. 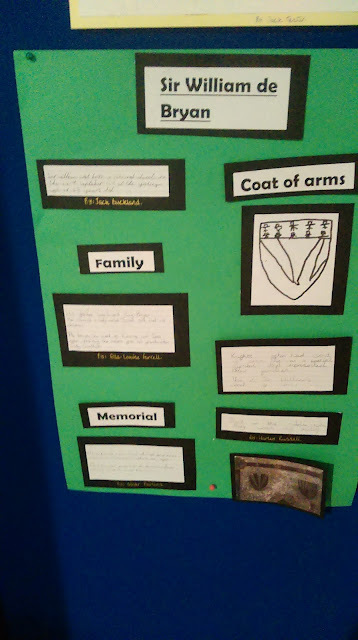 The oldest "named" burial in our church is Sir William de Bryene (variously spelled in his time!) who died in 1395. 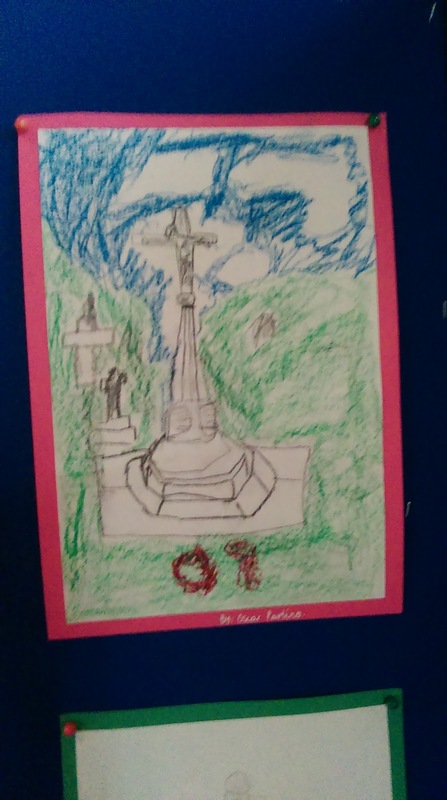 The children found his tombstone by the altar. 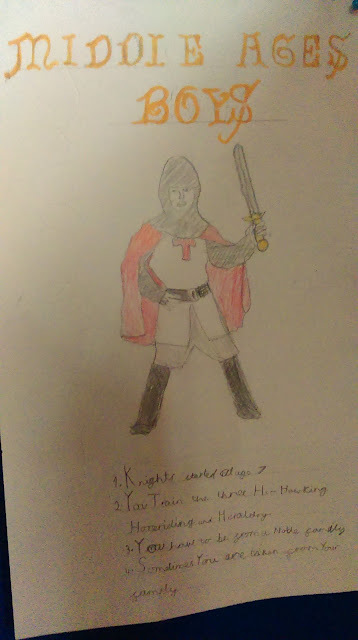 He is portrayed as a knight in armour. 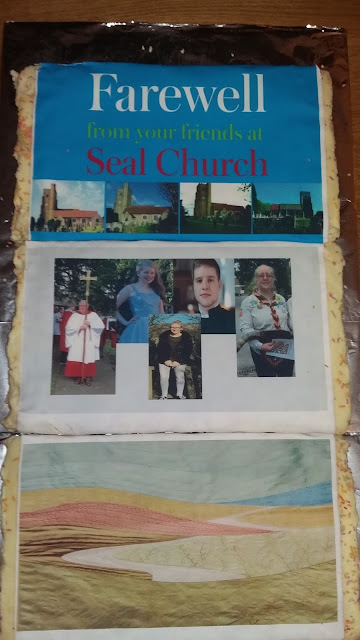 He was the Lord of Kemsing and Seal. 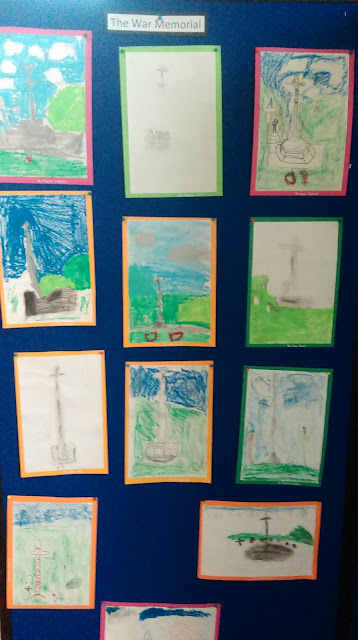 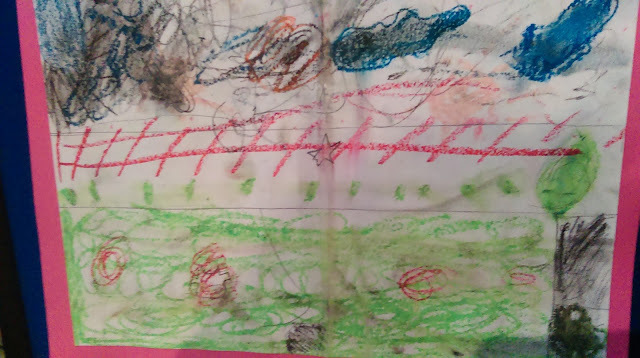 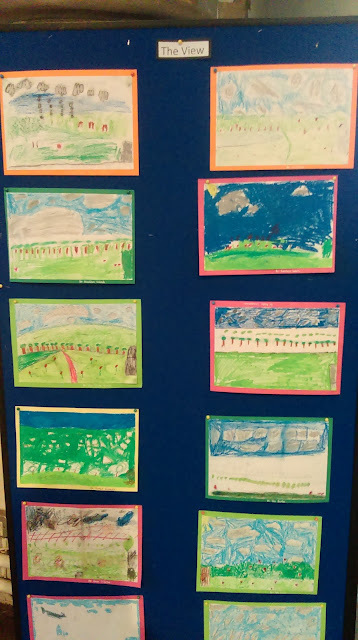 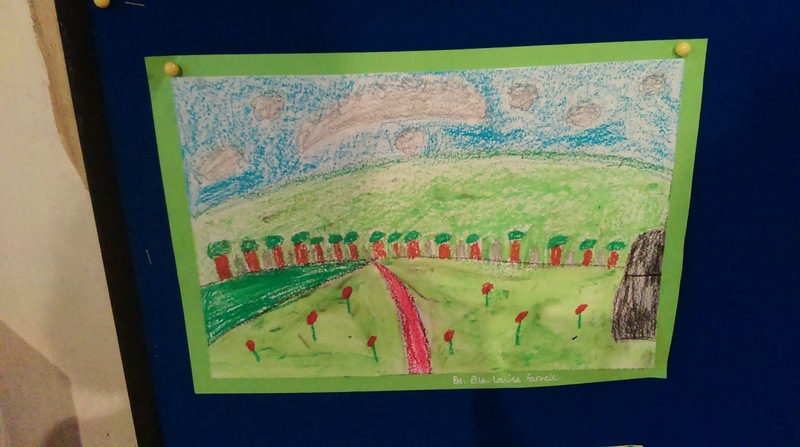 The children did some fantastic colourful drawings of the view from the churchyard over the valley towards Kemsing. All ready for "Thy Kingdom Come" prayer event.